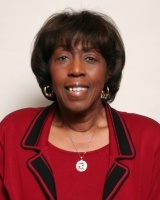 Dr. Pollie S. Murphy is a tenured college professor and a university administrator who has been an educator for more than 35 years. She holds the BS degree in Communication Disorders from Hampton Institute (now Hampton University), the MA in Communication Disorders from the University of Massachusetts/Amherst and the PhD in Audiology/Speech Pathology from Memphis State University. She currently serves as the Assistant Provost for Academic Affairs, Director of the Summer Session, and as the Accreditation Liaison for the institution's 2008 Reaffirmation Review by the Southern Association of Colleges and Schools (SACS). During her tenure at Hampton, she has served as Associate Professor, Interim Chair and Director of Graduate Studies in the Department of Communicative Sciences and Disorders, and Assistant Dean for Administration, School of Science. Honored by her peers, she received the Lindback Distinguished Teaching Award in 1991, and was named an Endowed University Professor in 2000. Dr. Murphy holds the Certificate of Clinical Competence in Speech Pathology, and is a member of the American Speech-Language-Hearing Association and the Speech and Hearing Association of Virginia.